LAS VEGAS—Although range, power, and quality of service are equally important when considering the purchase of a new router, speed sells. And chipset vendor Quantenna claims to be the foundation of one of the fastest new routers on the market, the Asus RT-AC87U. 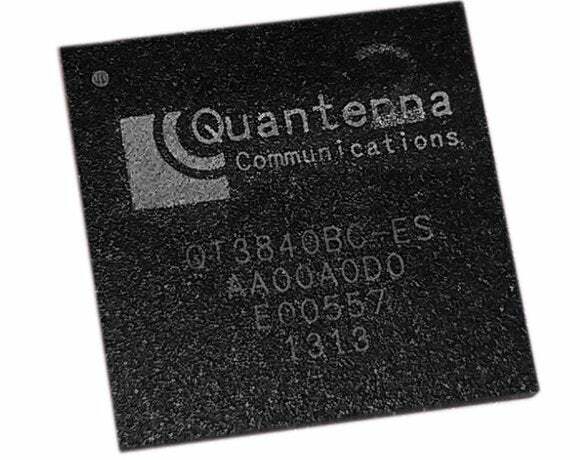 At CES 2014 here, Quantenna announced it had begun shipping the QSR1000, a 4x4 802.11ac chipset that the company originally announced in May. Quantenna claims to be first among the “Wave 2” generation of 802.11ac routers. Mimosa will also incorporate the QSR1000 in a new line of outdoor wireless products, and ViXS will build in the chipset into its XCode 6400 reference design for Ultra HD decoding and encoding. The IEEE, responsible for deploying 802.11ac, planned to roll it out in two phases, “Wave 1,” the first generation of 802.11ac wireless devices, and “Wave 2”. One of the key attributes of the Wave 2 generation of 802.11ac is the ability to stream multiple streams (typically either 3 or 4) to multiple clients, instead of directing all of the routers’ multiple data streams to a single user (which can span multiple antennas). MU-MIMO can be used for massively improved throughput (up to a theoretical 6.93 Gbps for Wave 2 chipsets at the physical layer, Cisco claims) or to stream a slice of that bandwidth to multiple users simultaneously, rather than going back and forth. In the future, the channel width could be expanded from 80 MHz to 160 MHz, providing even more throughoput. So far, however, the IEEE hasn’t formally finalized the specification, leaving the standard up in the air. That still hasn’t stopped companies like Asus from announcing products like the Asus RT-AC87U, however, which Asus dropped into a massive list of 17 Asus products that were named winners of the CES Innovation Awards. Unfortunately, Asus didn’t name a price for its router. Neither did Mimosa or ViXS. The ViXS reference design decodes more than 60 frames per second and displays HEVC Ultra HD TV 4K broadcasting content at its full resolution of 3840x2160@60fps in both Main and Main 10 (M10P) profile. The ViXS design will ship in the first quarter of 2014.